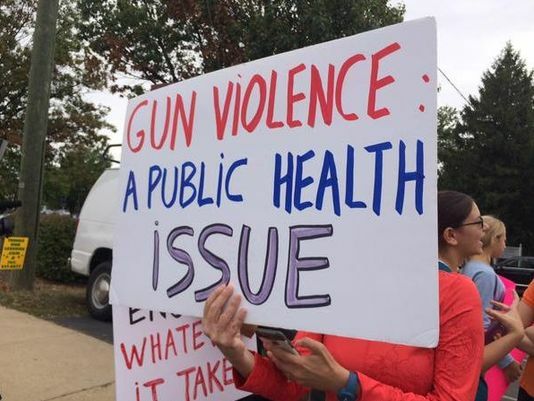 While Obama alone is powerless to change gun laws or regulations, he has the power to literally change the terms of the debate by declaring this epidemic to be a public health crisis, thereby taking it out of the realm of the Second Amendment. He can declare a national public health emergency. And he can convene a White House Commission on Gun Violence, a blue-ribbon panel along the lines of the Social Security reform commissions of the last several decades. This bipartisan panel would bring together the brightest minds from academia, prominent public health officials, former attorneys general and surgeon generals, college presidents, and former members of Congress who are no longer beholden to special interest groups. This panel should sponsor peer-reviewed scholarly research on such questions as: What is the most effective way to keep guns out of the hands of violent offenders and the mentally ill? How many mass shootings and other gun deaths have been thwarted by victims who were armed? How many lives could have been spared in mass shootings if high-capacity magazines had not been available? How do other developed countries regulate guns? The commission would then make a set of recommendations that members of Congress would have to go on record to support or reject. For a few days after every gun tragedy, there is a collective outcry of “enough is enough.” But then we go back to our normal routines until the next one. By declaring a national public health emergency and naming a White House Commission, Obama could keep the spotlight focused on this crisis and create a space where high-level conversations can take place and common-sense solutions can emerge. What Parents Wish Teens Understood About Social Media…and Vice Versa, a blog post by MaryAnn McKibben Dana, author of Sabbath in the Suburbs (an excellent quick read for families who struggle to balance church attendance and busy lives) offers some thought-provoking insights about the technology that can bind parents and children together—or unintentionally drive them apart.